ONTARIO — The Ohio District 5 Area Agency on Aging, Inc. will sponsor be an American Red Cross blood drive on Wednesday, March 27 from 9 a.m.-3 p.m. The blood drive will take place at the Hawkins Corner Building located at 2131 Park Avenue West, Suite 300, Ontario, Ohio. Hawkins Corner is located on the RCT bus route. The public is welcome to donate. 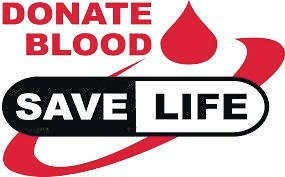 To schedule your appointment please call 1-800-REDCROSS or visit redcrossblood.org and use the sponsor code O5AAA. For additional information contact the Area Agency on Aging at 419-524-4144 or 800-860-5799. The Ohio District 5 Area Agency on Aging, Inc., located at 2131 Park Avenue West in Ontario, provides leadership, collaboration, coordination and services to older adults, people with disabilities, their caregivers & resource networks that support individual choice, independence and dignity.